What’s new in GPIO Zero v1.2? GPIO Zero is a Python library I created to make physical computing on the Raspberry Pi more accessible, particularly for use in education. 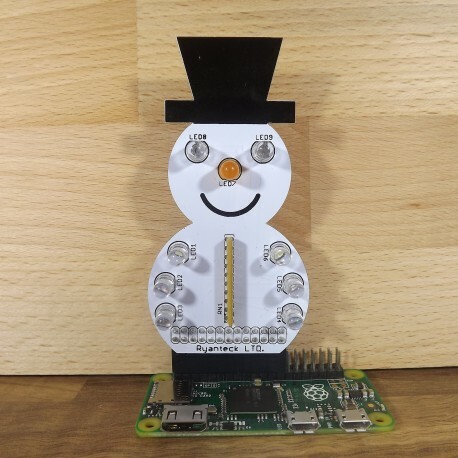 Read more about it on raspberrypi.org, or about how it was created in an article on this blog, GPIO Zero: Developing a new friendly API for Physical Computing. Now the LED’s source comes directly from the Button’s values. In other words, when the button is pressed, the LED is lit. This version has zero dependencies, so you shouldn’t have any issues installing it even on an older Wheezy image. Previously, the library depended on RPi.GPIO, and spidev, but these are no longer requirements. Alternative pin implementations are available (more on that later), including a pure Python one built in to the library, so RPi.GPIO is no longer required. If it’s present (more than likely the case), then it will be used, but three alternatives are sought if it’s not! Also, a software implementation of the SPI protocol has been implemented, meaning it’s possible to interface with SPI devices without using hardware SPI at all (the spidev library doesn’t need to be installed, and SPI doesn’t even need to be enabled in raspi-config). Something I’ve wanted to have since the early days, but had no idea how to implement. Dave created a test suite, which does a decent job, but does not currently cover the full scope of the library. 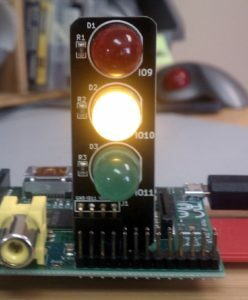 We have continuous integration set up with Travis, and people have even created GPIO Zero projects related to this – using the Travis CI API to show the test suite status on traffic lights. Energenie is a long-term favourite of mine and others, it’s an add-on board for the Pi which communicates wirelessly with a special power socket (or set of sockets). I previously maintained a Python module for controlling the Energenie, providing simple switch_on() and switch_off() functions which took a socket number to control. The GPIO Zero solution is just as simple, a little more elegant, and importantly comes bundled with the fancy features of a first-class GPIO Zero component (source/values)! 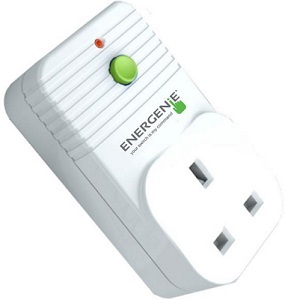 Here a connection to Energenie’s socket #1 is created, referenced as light (an actual wall socket desk lamp rather than an LED) and the button set to trigger the light to come on. That’s right – a light switch! 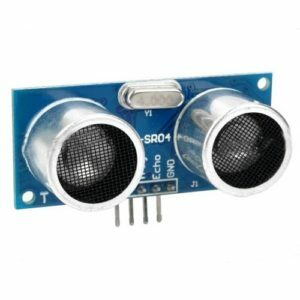 The basic line sensor unit is a simple binary sensor, so its interface is similar to the Button. It just has aliases for is_active, when_active and wait_for_active. There’s one of these in the new CamJam Edu Kit 3 (robotics kit), so it will be handy for that! There’s also one of these in CamJam Kit 3 and they’re popular for various projects not limited to robotics. An excellent Christmas themed add-on board made by Ryan Walmsley. It’s a snowman with LEDs for eyes, one for the nose, and three for each arm. Watch Ben Nuttall’s Vine “With PWM” taken on 8 February 2016. It has 0 likes. The entertainment network where videos and personalities get really big, really fast. Download Vine to watch videos, remixes and trends before they blow up. As I mentioned earlier, there’s now a software implementation of the SPI protocol which means you don’t need spidev installed or SPI enabled in raspi-config. See the documentation on source tools for more information and examples. Initially, when I created GPIO Zero, it was just an abstraction layer sitting on top of an existing GPIO library, RPi.GPIO. However, we now support four multiple back-ends: RPi.GPIO, RPIO, pigpiod and a native implementation. 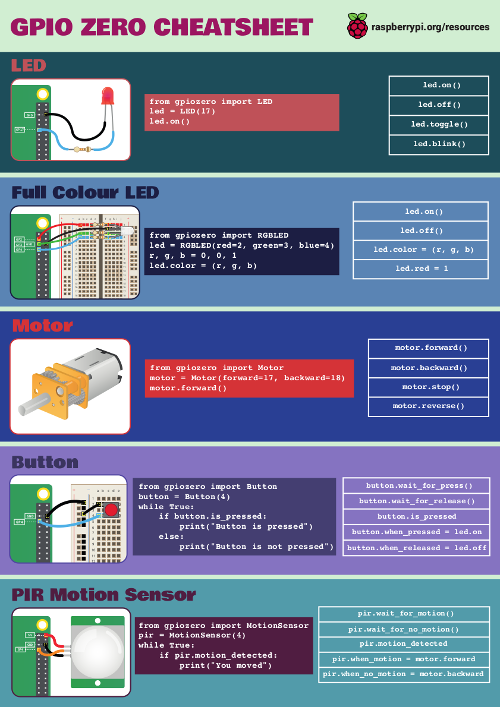 The priority is such that RPi.GPIO is preferred, being the most stable option we know of (and 99% of users will be using this implementation, as it’s pre-installed in Raspbian); secondly, RPIO, another Python library with better PWM support; thirdly a Python module which communicates with a C library (pigpio) running as a daemon (pigpiod), which is an interesting option I’ll explain next; finally, if none of those libraries are found to be available, the fallback is a pure Python pins implementation Dave wrote as part of GPIO Zero. It’s pretty basic at present, and is rather experimental, but for basic use it does just about work. 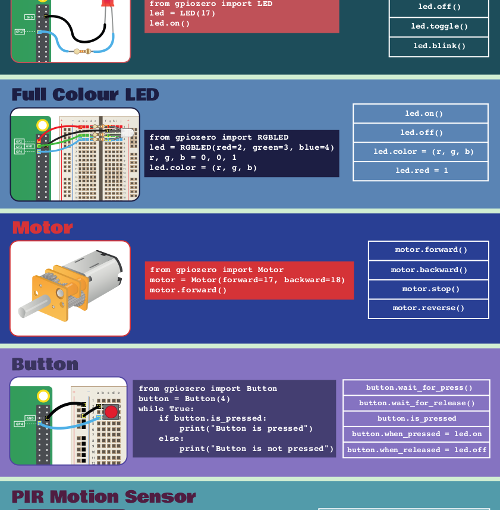 pigpio is a C library which provides an interface to GPIO, PWM, SPI, I2C, Serial and more. Its feature set is brilliantly extensive, and its killer feature is the daemon. pigpiod runs as root, but takes commands via sockets from the regular Pi user, or anywhere else. It’s also got a comprehensive set of documentation. Unfortunately, despite its excellent quality and usefulness, it’s not packaged or distributed. It’s just sitting on GitHub. However, we (the Foundation) intend to do this packaging work and ship it with Raspbian in future. Watch this space. Or that space, maybe. So rather than creating an LED on pin 2, I create it on a reference to a remote pin elsewhere on the network. This is seriously cool and I look forward to this being used more broadly once pigpio is packaged. See the pins docs for more information on the various pin implementations. 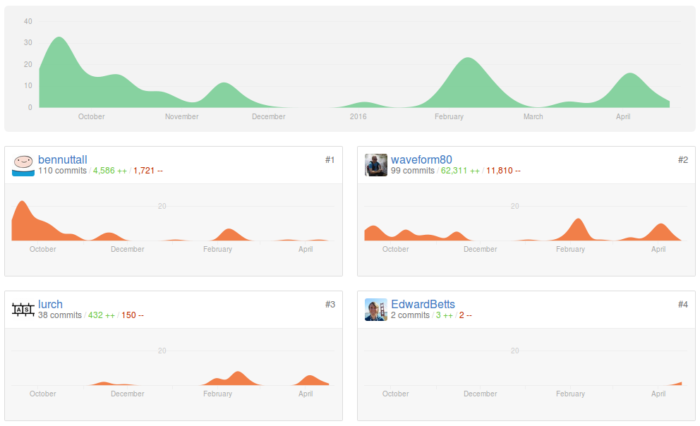 See the v1.3 milestone for more information – and feel free to chip in with ideas, suggestions and code! The MicroPython API for the BBC micro:bit has been designed with a similar philosophy, and there’s now a NetworkZero library made by Tim Golden. You can read about it in his blog post. Nicholas Tollervey has created a Py-ZeroZero organisation on GitHub for discussion of this family of *Zero libraries and a description of our philosophies. Dave Jones has gone above and beyond and he’s responsible for the vast majority of the code base (and the feature set). I can’t thank him enough for the voluntary work he’s done on the library. Thanks also to Andrew Scheller, who’s made some great contributions to the code, and helped a lot by posting issues and commenting on commits and PRs. And to Martin O’Hanlon who helped create the holdable Button; to Schelto van Doorn, who added numerous ADC chips; and to everyone who’s used the library, given feedback, shared it with others or provided help with documentation, API design or usage suggestions. Finally thanks to Joan for pigpio.